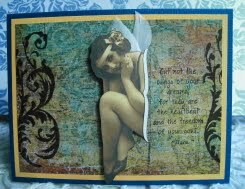 Vada's Blog Stamp Inks and Paper : Wings Of Your Dreams. 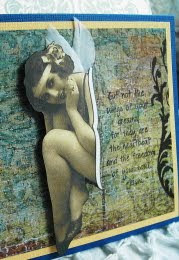 From August Technique Junkie Newsletter, “Worn Wallpaper TQ”. 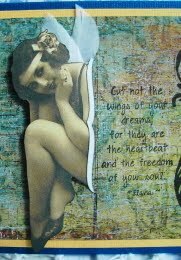 My paper is from Basic Grey, and the graphic is from “Night Owl Vintage Graphics”. Stamps are from; TAC, Paper Bag Studio’s and Cornish Heritage Farms. Stunning wallpaper background! The image is gorgeous with this card! Love it Vada!